An atmospheric, transporting tale of adventure, love, and survival from the bestselling author of The Snow Child, finalist for the Pulitzer Prize. In the winter of 1885, decorated war hero Colonel Allen Forrester leads a small band of men on an expedition that has been deemed impossible: to venture up the Wolverine River and pierce the vast, untamed Alaska Territory. Leaving behind Sophie, his newly pregnant wife, Colonel Forrester records his extraordinary experiences in hopes that his journal will reach her if he doesn’t return–once he passes beyond the edge of the known world, there’s no telling what awaits him. The Wolverine River Valley is not only breathtaking and forbidding but also terrifying in ways that the colonel and his men never could have imagined. As they map the territory and gather information on the native tribes, whose understanding of the natural world is unlike anything they have ever encountered, Forrester and his men discover the blurred lines between human and wild animal, the living and the dead. And while the men knew they would face starvation and danger, they cannot escape the sense that some greater, mysterious force threatens their lives. Meanwhile, on her own at Vancouver Barracks, Sophie chafes under the social restrictions and yearns to travel alongside her husband. She does not know that the winter will require as much of her as it does her husband, that both her courage and faith will be tested to the breaking point. Can her exploration of nature through the new art of photography help her to rediscover her sense of beauty and wonder? The truths that Allen and Sophie discover over the course of that fateful year change both of their lives–and the lives of those who hear their stories long after they’re gone–forever. "To the Bright Edge of the World moves seamlessly through different times and different voices to depict an often harrowing journey that leads the central characters to question all that they 'have known as real & true.' 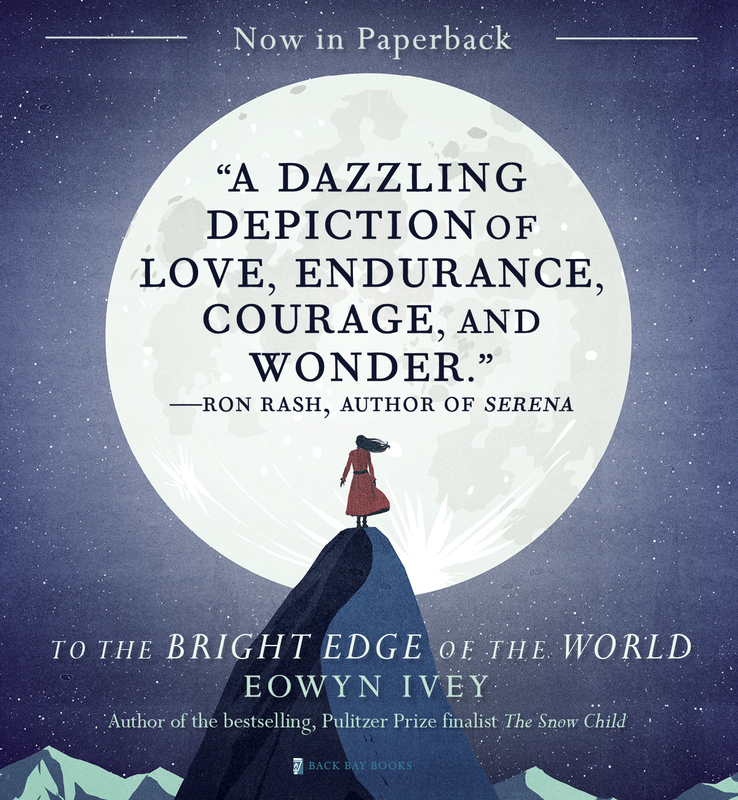 Ivey's novel is a dazzling depiction of love, endurance, courage, and wonder, and a worthy successor to The Snow Child." "Beautifully told...a page-turner, a fascinating story that is broad in its scope as it is compassionate in its message...Ivey has created a world that is dangerous and beautiful, worrisome and satisfying, all in a novel that readers will not soon forget." "Powerful...Ivey is a gifted storyteller and a lyrical prose stylist...remarkable." "An epic adventure story that seems heir to the tradition of Melville's own sweeping and ambitious literary approach to the age-old struggle of humans versus nature...an absorbing and high-stakes read." "To the Bright Edge of the World is a glorious feast of American mythology. In it, Eowyn Ivey's Alaska blooms vast and untouchable, bulging with mystery and wonder, and lit by an uneasy midnight sun. On this haunted stage, the lines between man and beast are blurred, and Ivey has etched her most compelling characters: the incorruptible, determined Sophie Forrester, who wrestles with the rules of men and polite society; and her husband, the explorer Allen Forrester, who struggles mightily against the uncivilized Alaskan wilderness with its ragged teeth. Gorgeously written, utterly un-put-downable, To the Bright Edge of the World sweeps its reader to the very brink of known territory, and presents that bright edge in stark relief: gleaming, serrated, unforgiving. 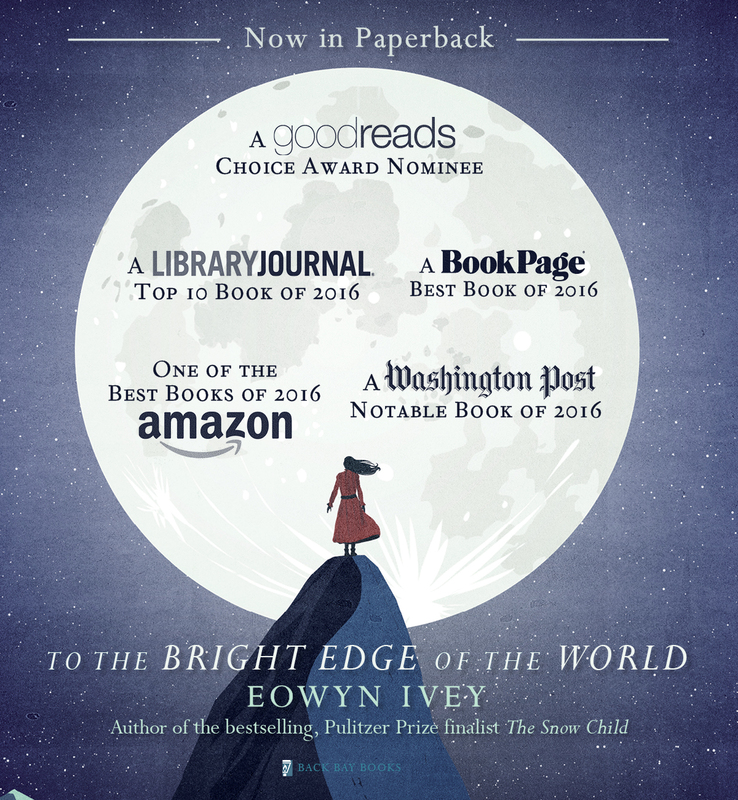 As with The Snow Child, Eowyn Ivey has once again written a magical, breathtaking novel that I just cannot put out of my mind." "An exceptionally well-turned adventure tale...Heartfelt, rip-snorting storytelling." "Eowyn Ivey is a deft craftswoman, attentive to the shape and heft of her sentences...[she] fashions characters who come to warm and vivid life against her frozen Alaskan landscapes...What could be a better beach read than an arctic adventure?" "A stunning and intriguing novel combining the epic adventurous sweep of Alaska with minutely beautifully observed details--the reader finishes it wiser and richer." "All the pleasures of a great novel are here--the well-crafted sentence, the deft pacing, the compelling plot, and characters that we care passionately about. Add to those already significant achievements a few eerie hints of the supernatural, some nail-biting mystery/thriller drama, the understanding that's gained from historically accurate details, and the endorphin rush of a love story. And then consider that the novel's construction provides yet another pleasure, the pleasure of the puzzle, as the reader gets to participate in the assemblage of journal entry, letter, drawing, and artifact, therefore co-creating this epic Alaskan adventure. How can one novel contain such richness? Eowyn Ivey is a wonder." "An entrancing, occasionally chilling, depiction of turn-of-the-century Alaska...In this splendid adventure novel, Ivey captures Alaska's beauty and brutality, not just preserving history, but keeping it alive." "Ivey deftly draws the reader into the perils of the journey...a compelling historical saga of survival." "An 1880's Alaskan adventure that really delivers...a rip-roaring frontier adventure." "Raises the personal stakes and the emotional payoff to impressive new levels...a stunning and subtle performance...This is enchanted writing." "An American masterpiece...beautifully written, fast-paced, wide-ranging, historically-based, and creatively imagined and structured...It delivers in all the ways a great novel should...deserves every accolade it will surely receive." "Ivey's simultaneous wide scope and focus on detail are part of what makes this novel so absorbing. It's no mere testosterone-fueled tale of heroism. Her narrative encompasses, however fleetingly, the girls and women at the margins." "Read it for the adventure. Read it for the time you'll spend thinking about it long after you've turned the last page." "Spellbinding...a cracking adventure that pulses with emotional power and a brutal kind of beauty...brings history and folklore to life in a visceral and utterly beguiling way." "A riveting story of adventure, mystery and love...Ivey populates her novel with rich supporting characters...a spellbinding Pacific Northwest historic fiction." "This rich blend of adventure bravado and contemplative memoir, past and present, reinvigorates the idea of a historical novel." "You feel the excitement and the wonder that [the characters] are experiencing. This is another magical novel from her [Ivey]." "An epic adventure intertwined with a story of genuine love." "Beautifully done...you'll get lost in the details and become engrossed in the love story playing out...Simply wonderful, and I cannot recommend it enough." "It's safe to say that Ivey fans will not be disappointed by this spine-tingling romantic odyssey."